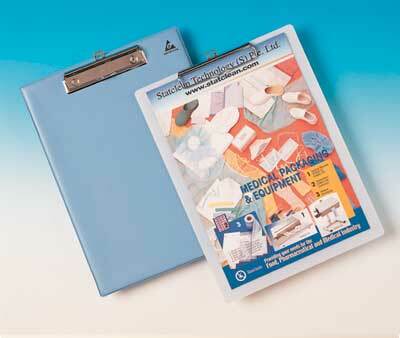 The ESD clipboard is well wrapped with a layer of static dissipative vinyl that has permanent electrical properties. When used in ESD sensitive work areas, it reduces static charges from being generated through abrasion or movement. Application: Suitable for Cleanroom documentations, recording sheets. Ideal for ESD sensitive areas.